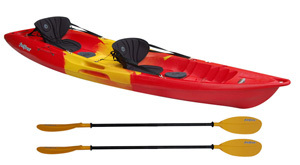 This popular tandem kayak is ideal for family fun and recreational use. It can carry 2 adults and 1 child, or be paddled solo from the centre seat. FeelFree Gemini Sport Fitted with Optional Deluxe Seats & Rod Holders. 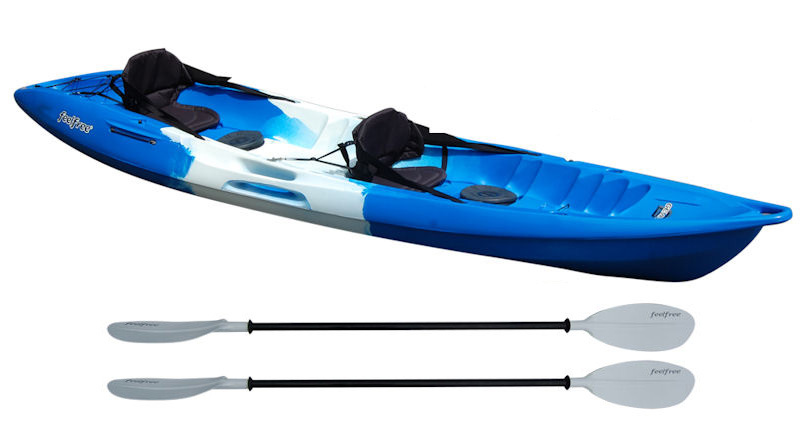 The Gemini sport is one of the most popular sit on top kayaks on the market, ideal for the families, couples and friends. 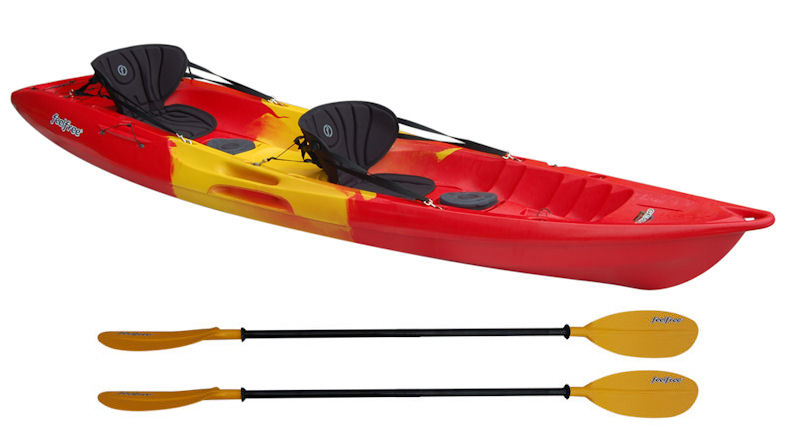 A fast and fun kayak that can be paddled solo, tandem or as a two-plus-one. Features include, integrated side handles, centre hatches in front of both seats, paddle parks, and a built in rear wheel that is ideal for transportation on hard surfaces. It is easy to paddle and is comfortable for small or large paddlers. The Gemini's 'sports hull' makes it great to paddle in the surf and perfect to use as a platform on the water, whether this is to fish from, go snorkelling or swimming, or simply just to explore the bay. The Gemini is packed with features to make your time on the water as easy as possible- all you have to do is concentrate on having fun! 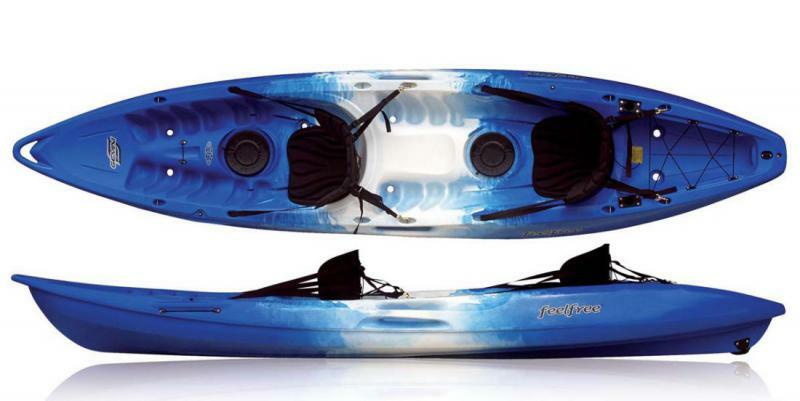 The Gemini Sport comes with a 'Wheel In The Keel' that makes getting this sit on kayak to and from the water a breeze. The wheel in the keel is designed for use on hard surfaces. It makes moving the Gemini Sport on slipways and from the garage to the driveway easier. The wheel isn’t designed for use on rough ground or sand, you will have to carry the kayak or use a trolley instead. In order to prolong the life of the wheel's axle you will need to occasionally wash off dirt and salt water. Fishing rod holder can be fitted to the back of the kayak for an additional cost- Please call for details. Like all sit-on-tops, the Gemini Sport is self draining by means of the scupper holes. High quality paddle with strong asymetric blades on an alloy shaft with drip rings and index grip.  Elasticated paddle leash, attach one end to the paddle shaft and the other to the kayak. 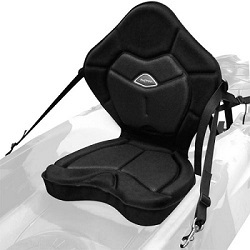 Universal fit seat/backrest compatible with any sit on top kayak with a 4 point attachment system. 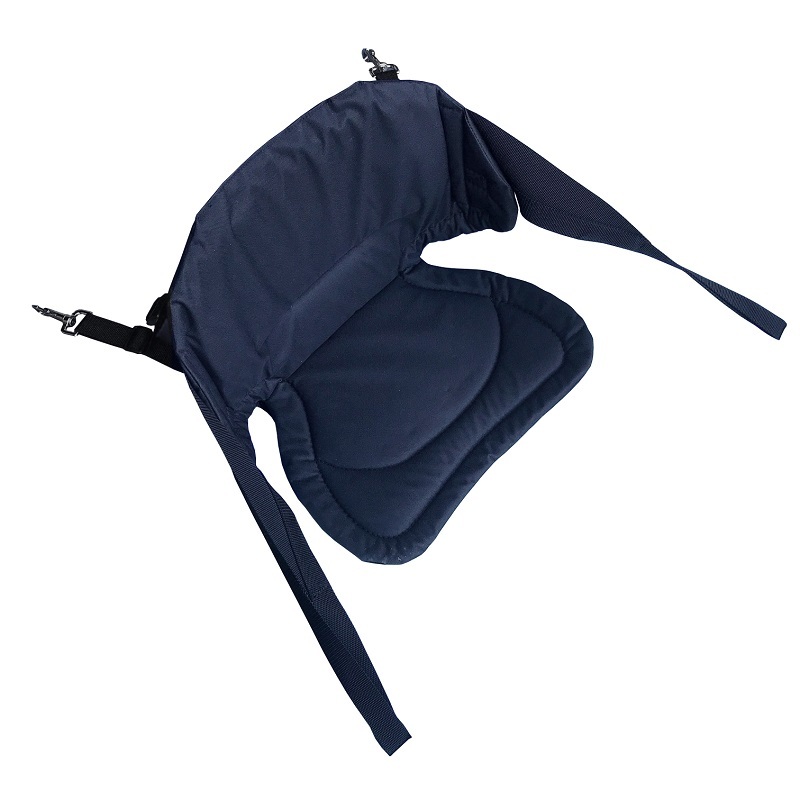 It's padded construction makes the Canvas seat comfortable as well as supportive. The Feelfree Deluxe seat provides additional comfort and support over a standard seat. Designed to provide increased lumbar support. Compatible with any sit on top kayak with a 4 point attachment system. The Feelfree Kingfisher seat provides the ultimate comfort for any sit on top kayak. 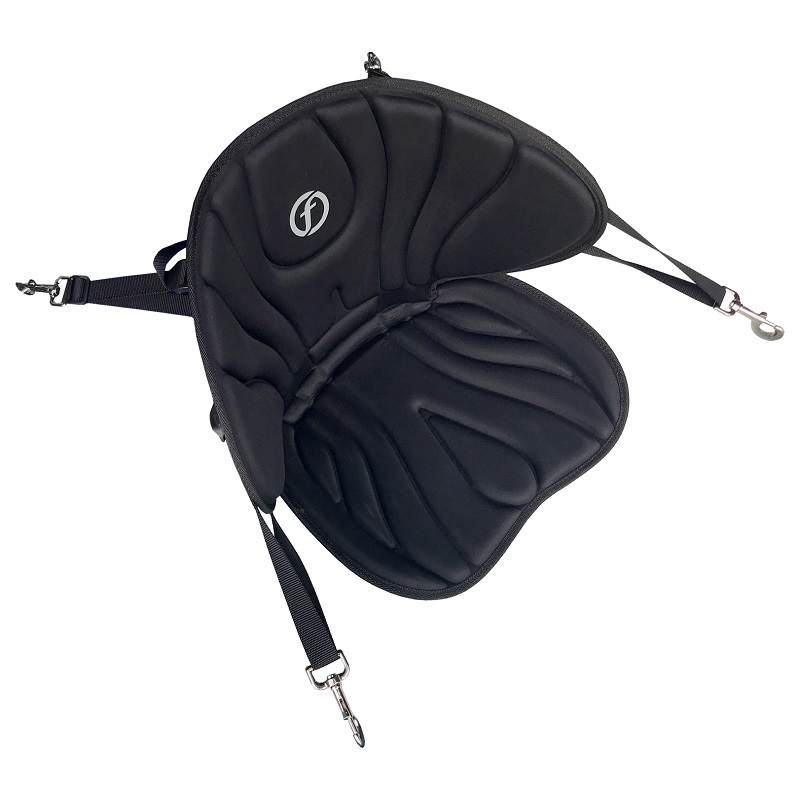 Featuring a dedicated conjure lumbar cushion to provide extra support in the lower back area. The Kingfisher seat also has an internal skeleton, which retains it's shape and comfort for hours on end. Compatible with any sit on top kayak that has a 4 point attachment system. Supplied in Pairs, these Scupper Plugs are compatible with the entire Feelfree kayak range. 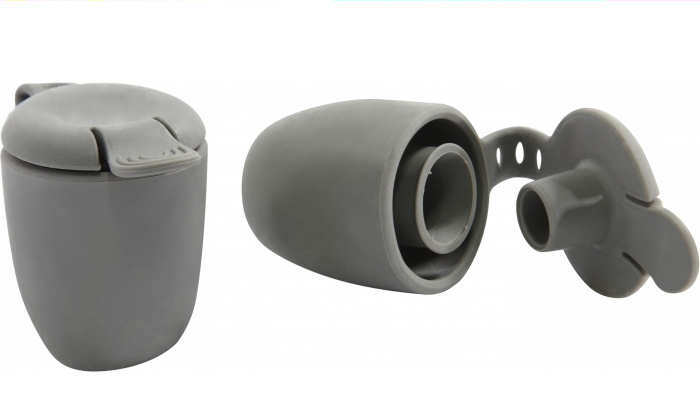 They also feature a pop top lid to allow water drainage without having to completely remove the plug from the scupper hole. 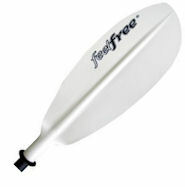 Pair of flush mounted Feelfree rod holders designed to fit the moulded recess featured on various Feelfree Kayaks. We offer a delivery service for the Feelfree Gemini Sport throughout the UK & Ireland to home and work addresses. 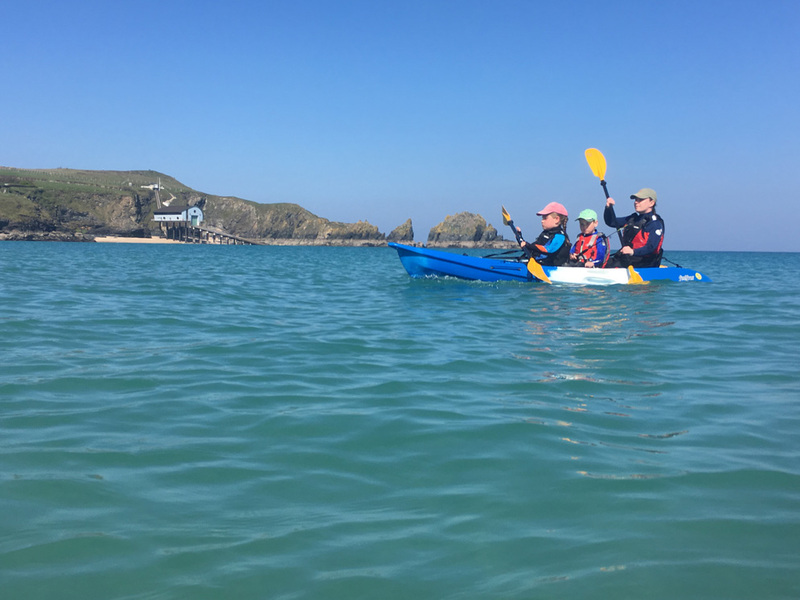 Buy a Feelfree Gemini Sport online from our website and collect from our shop in St Columb Road near Fraddon in Cornwall or you can collect from any branch within the Canoe Shops Group. There is no cost associated with instore collection*.